Micro breweries have taken off in this country, and Indianapolis is no exception. 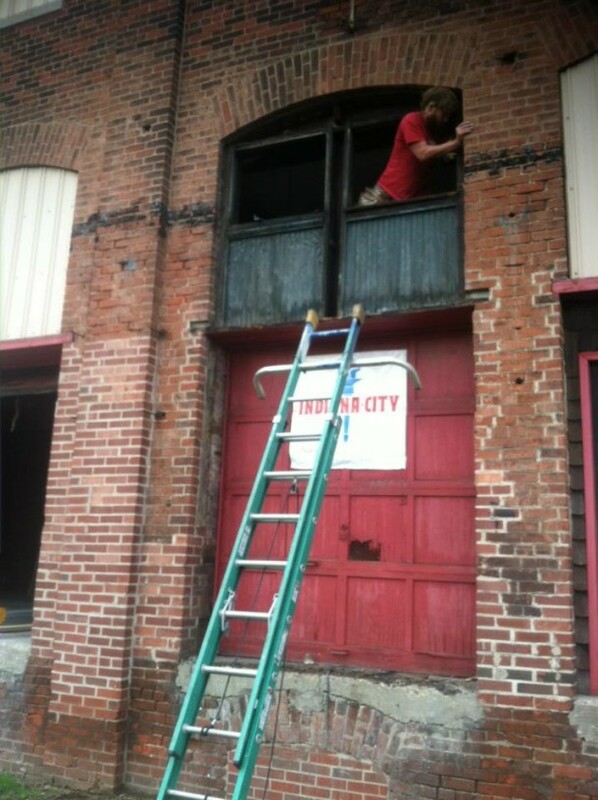 Soon our city will have another new brewery located in an old brick structure with beer roots dating back to 1891. This circa 1912 glass lantern looks southwest on South Shelby Street at the Home Brewing Company, organized in 1891. By 1907, the company had ninety stockholders and officers, many of German descent. One of the organizers and early presidents was brewmaster August Hook, father of John A. Hook, who started Hook’s Drugs in 1900. Other early leaders were Albert Lieber, Andrew Hagen, and William P. Jungclaus. The compound of brick buildings, conveniently situated along the railroad tracks, eventually included the brewery, bottling house, and wagon shop for the twenty-five wagons that distributed their beer throughout the city (replaced by Buick trucks in the 1910s). 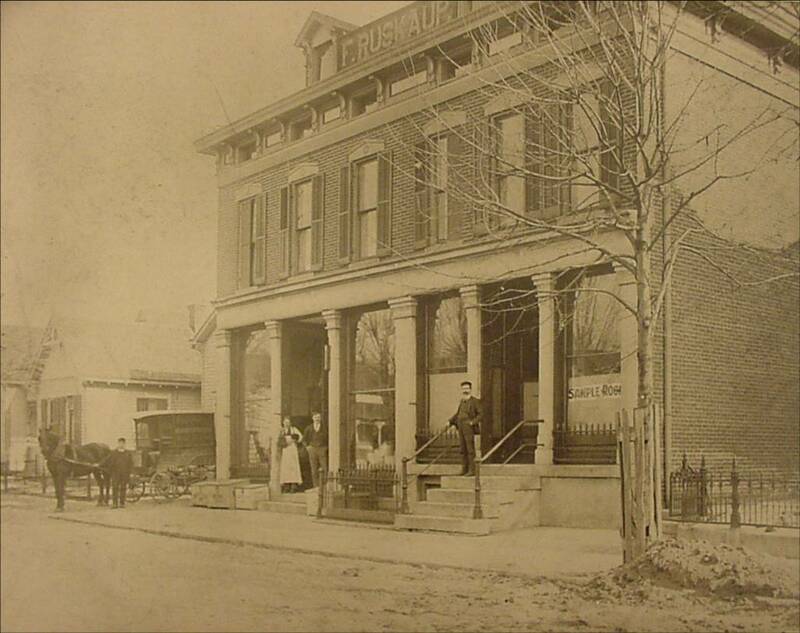 In addition, the company later owned several saloons and Germania Hall. In 1909, over sixty employees filled 50,000-60,000 barrels annually. The large bottling house had the capacity to fill up to sixty barrels daily with brands that included Home Brew, Columbia, and Indiana ale and porter. Today, beer bottles with Home Brewing Company brands regularly appear on eBay. The company lobbied against the growing Prohibition movement, but seeing the writing on the wall created Tonic, a non-intoxicating near beer that contained less than one-half of one percent alcohol. It was distributed to the already dry counties throughout the state. The Indianapolis Brewing Company, a local competitor, cried fowl since Tonic was a little too close in name to their near beer Tonica, and even claimed that it was real beer and hand delivered a sampling of Tonic to the Indiana State Laboratory to be tested. 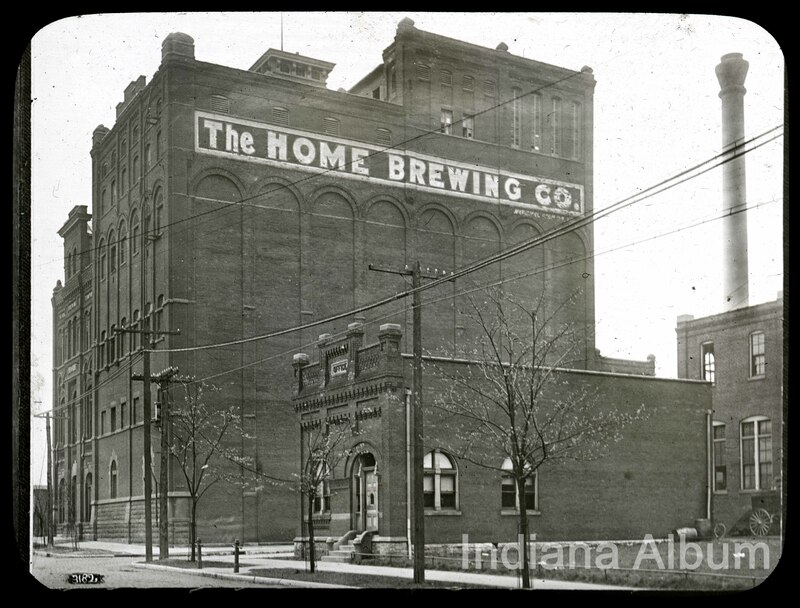 Prohibition was enacted in Indiana in 1918, devastating local breweries, and the Home Brewing Company soon closed after a failed attempt to make malt extract and Homo near beer. (The root word homo means “the same,” but real beer lovers know that low alcoholic brew is no substitute for the real stuff.) 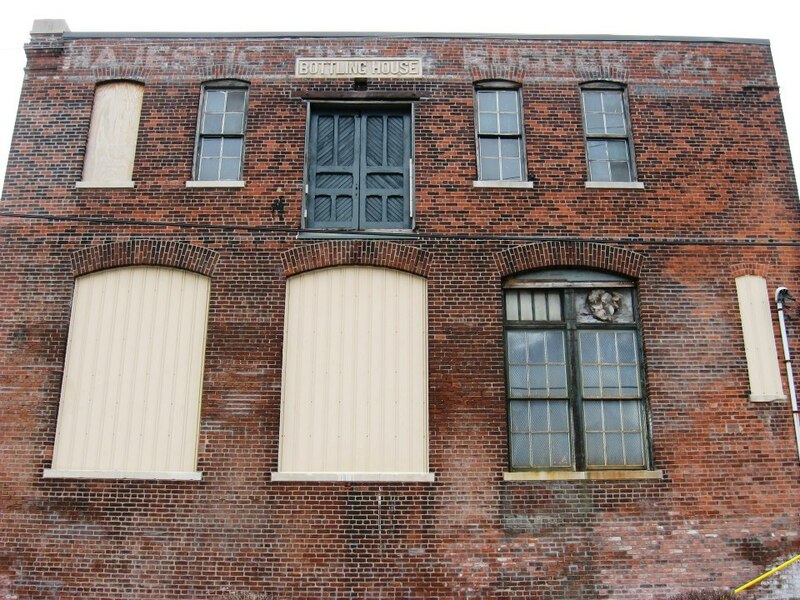 The brick structures, equipment, and malt extract manufacturing business went on the market in June 1922 and later housed a steam plant for Merchants Light and Heat Company, Indianapolis Power and Light, and the Majestic Tire and Rubber Company. Sadly the small but charming brick office was gone by the 1940s and the three- and six-story main buildings were demolished in the mid 1970s. 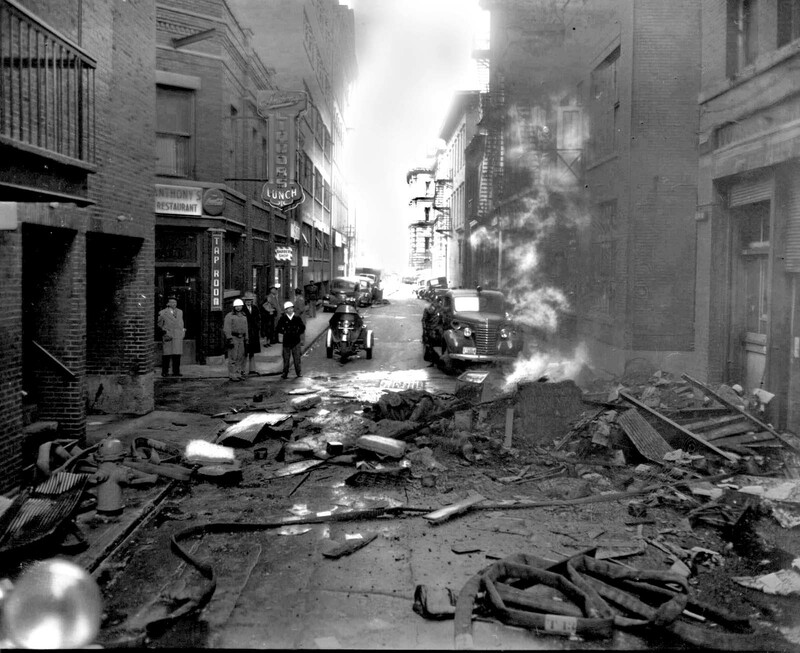 Today, all that remains is the old bottling house, seen to the right in the photo above. 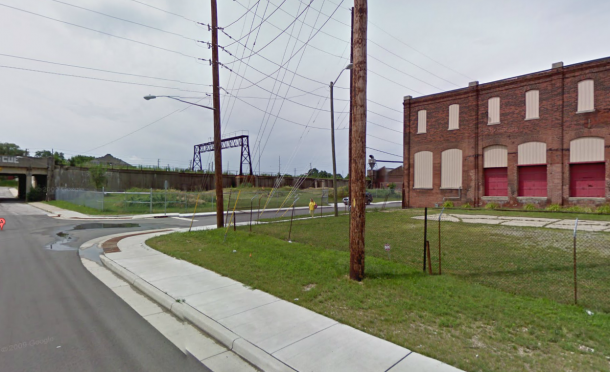 You might have been unaware of the remaining Home Brewing Company building, but have driven near it if you’ve ever stopped at the adjacent Hardees on E. Washington Street just east of I-65/70. Soon the site will see new activity as space in the old Home Brewing Company bottling building is leased to Indiana City Brewing Company, featuring a tap room with space for local artists and performers, and Reclaimed Vintage Industrial (described as Restoration Hardware meets Steam Punk Sanford and Son) / IndySWAG (a designers’ warehouse specializing in vintage, industrial, retro chic and swanky merchandise). 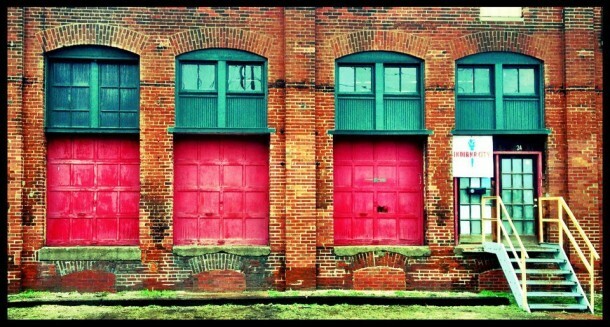 Look for the openings late this spring and follow along on Facebook as the new tenants post photographs and updates. THIS IS GREAT TO SAVE THIS BUILDING AND MAKEING IT WHAT IT WAS AND ON THE EAST SIDE OF TOWN. I AM ALSO TRYING TO DO SOMETHING WITH THE OLD FORD MOTOR COMPANY BUILDING ON 1300 EAST WASHINGTON STREET.YOU WILL BE CLOSE TO US.WHEN YOU OPEN ALL OF THE FORD AND OTHER CAR CLUBS WILL WANT TO COME VISIT AND WILL HELP YOU WITH CARS FOR OPEN HOUSE.JUST YEAL AT US. I AM GUY MAGER A FORD RETIREE. 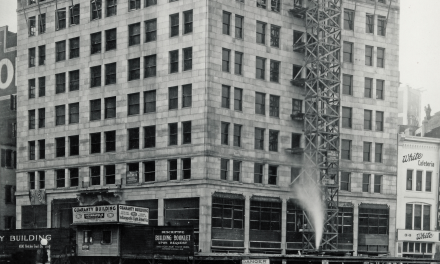 Wonderful story about Indy history and future. Good luck to the new brewers!! I will be stopping by to sample when you are open!! I am excited, as an amateur brewer & photographer, to see the local artists as well. Great combination. Kevin –lets hope they will let us know when open houes is. As a collector of Indianapolis breweriana (advertising from all the Indy breweries of the past) for the last 35 years I’ve done what I can to preserve this important part of Indianapolis’ history. I’m glad someone is making use of the only standing building left of the many breweries we had here. when is the open house please let me know so i can help you. I am a great granddaughter of August Hook. I can’t wait to visit the Indiana Brewing Company on my next visit to Indianapolis! Elizabeth…August sounds like he was a interesting man. Do you have any old photos of his business, of him at work, or of his home? If so, I’d love to copy them for a project called the Indiana Album. Email me at heritagephotoservices@gmail.com if you would like to contribute. My great great grandfather was Andrew Hagan. Go Home Brewing Co My husband Bob and I have nine Indiana Pioneers. Bob’s gggg grandfather- Robert Hanna – came to Indiana in 1804m – signed the Indiana Constitution, helped bring the railroad to Indpls. and the first river boat shipping project and was a US Senator. Will be in Indiana in June of 2016 to celebrate. I would like to connect with you. I am working on a history of early Indianapolis breweries. My great grandfather – Peter Lawall – was president of Home Brewing Company in 1917. 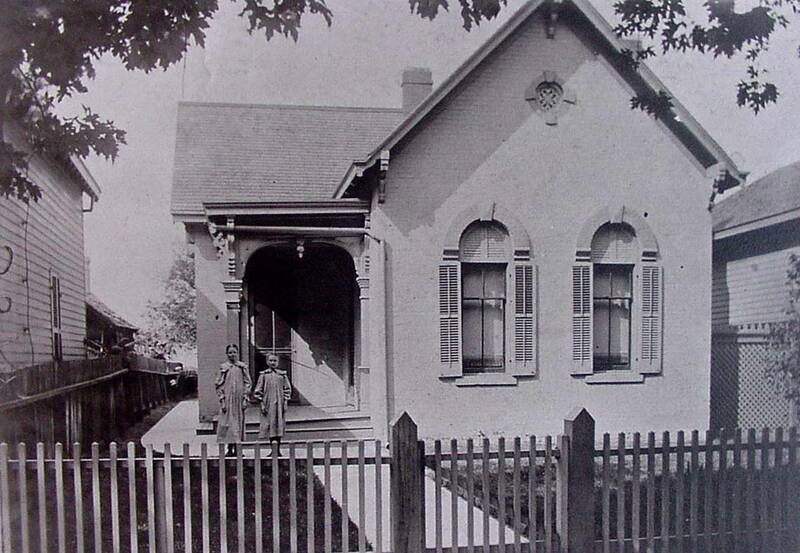 Our family was also a founding member of Zion Evangelical United Church of Christ at North and New Jersey street.